LIFT CAPACITY OVER FRONT: 1,015 LBS. OVER SIDE: 470 LBS. 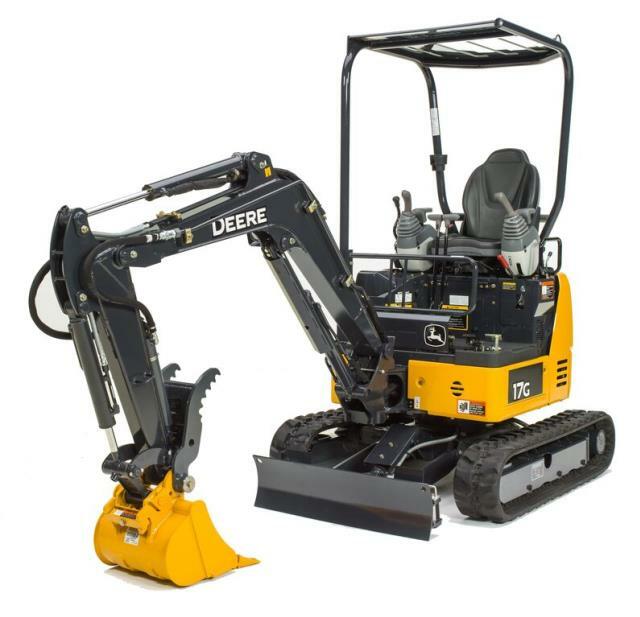 WIDTH: 3'3" TO 4'2" HEIGHT 10'2" LENGTH: 11'6"
* Please call us for any questions on our excavator 4 000lb jd 17g w/thumb rentals in Portland OR, Gresham OR, Milwaukee OR, and surrounding metro area.